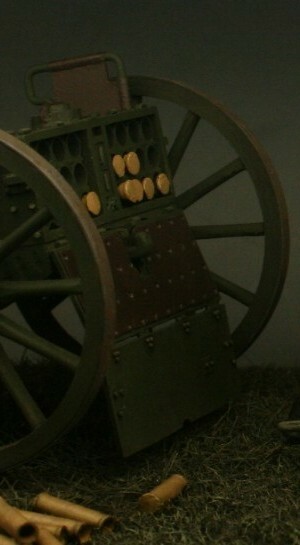 On 1st September 1 Cavalry Brigade were billeted in the small French town of Néry, that morning they were surprised by a German attack from the East. 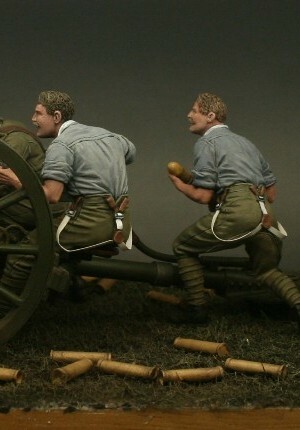 Despite immediately suffering horrific casualties, the gunners of ‘L’ Battery Royal Horse Artillery were able to keep one gun in action. 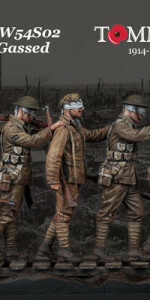 The action of those men meant the German attack faltered and the British cavalry regiments were able to reform and push back the Germans. 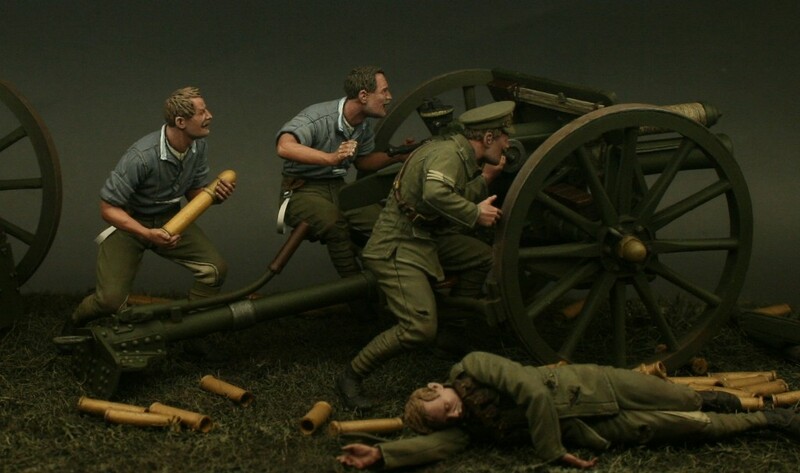 Three men of ‘L’ Battery were subsequently awarded Britain’s highest military award for bravery, the Victoria Cross. 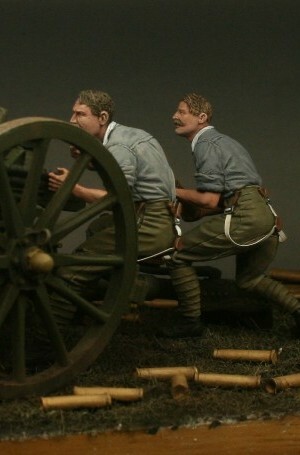 This set remembers those three men and also all of the men of 1 Cavalry Brigade in action that day. 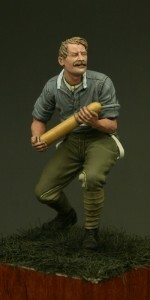 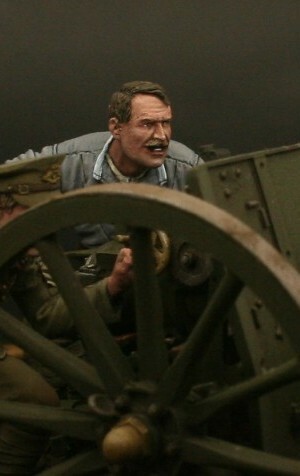 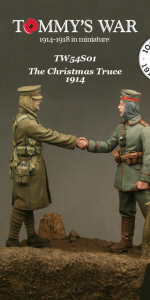 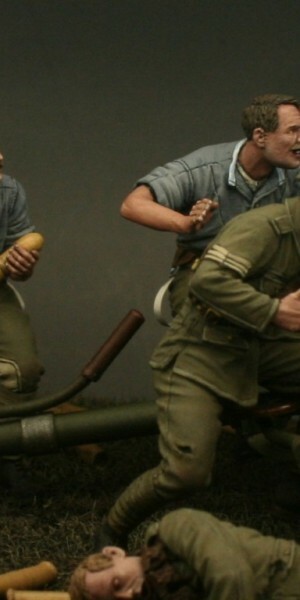 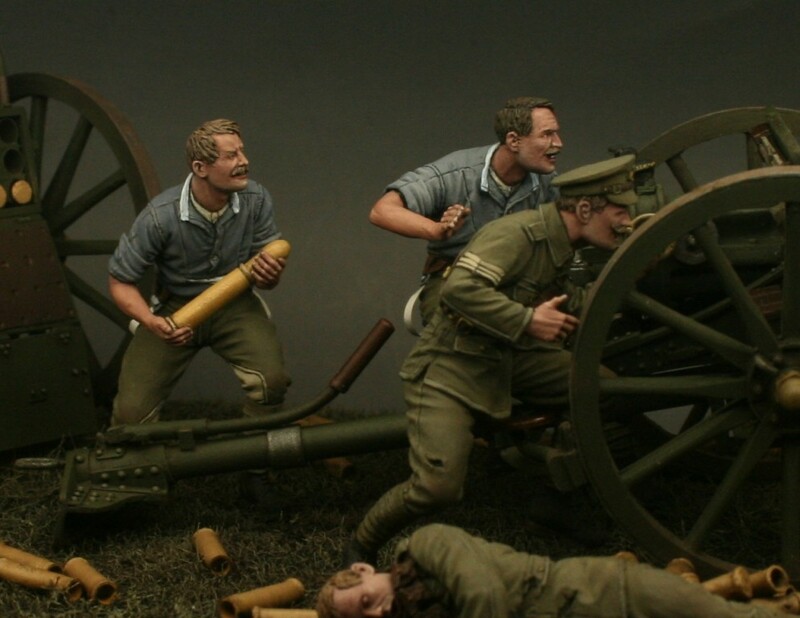 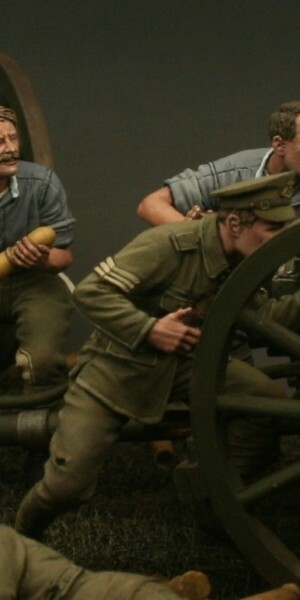 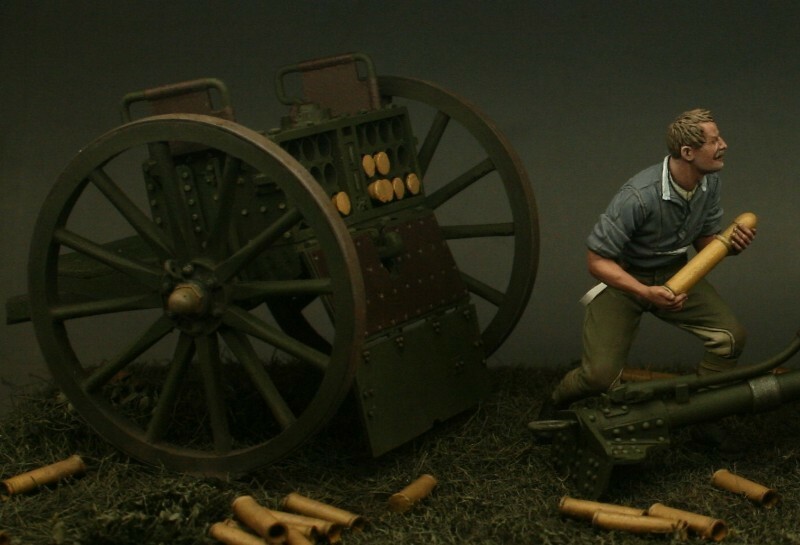 Included in this set is a beautifully designed 13 pounder Quick Firing gun as used that day with four wonderfully crafted figures. 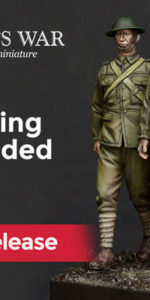 To make this set really comprehensive a number of accessories are also included such as limber, cartridges, empty shell cases and even small items such as photo-etch braces for the shirt-sleeved figures. 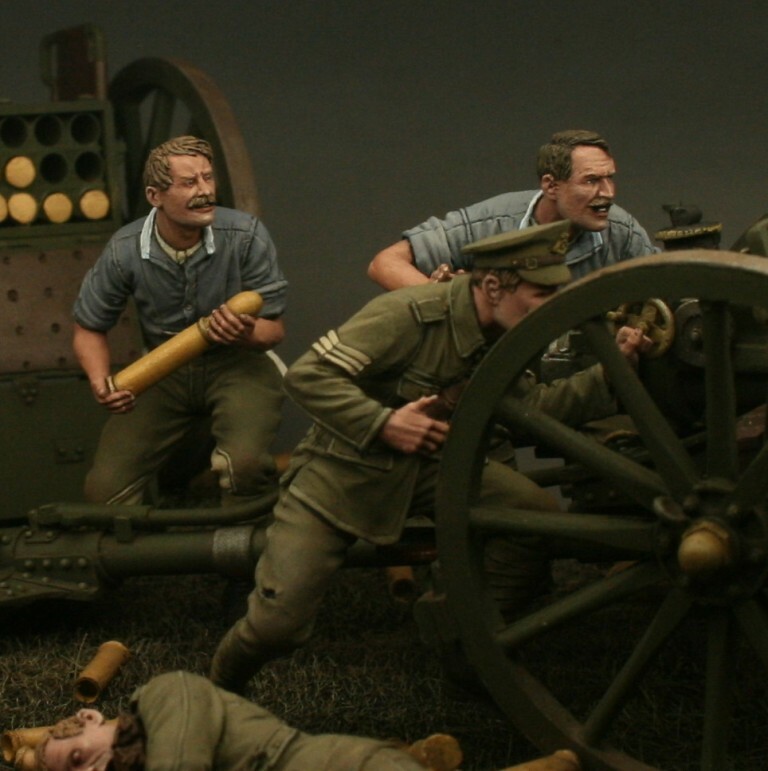 All-in-all this set builds in to a graphical representation of the battle that day and a wonderfully iconic scene full of drama.